The smartest way to outsmart your competitors! In this retail marketing article, I’d like to share a simple yet powerful tip with you. It’s all about how to increase sales and get people recommending you, without having to lower your prices or spend a dime on advertising. It can even help you beat the online retailers. As I have mentioned before, traditional retail stores have a number of advantages over cheaper Internet retailers. You can find out more by reading this. One major advantage, is the value customers place on face-to-face advice. No matter how great a website is, it can’t compete with the human interaction that happens when 2 or more people connect. Customers love to see a product and then have the option to ask you, the retailer, any specific questions they have. Even if a product is cheaper online, in many cases the customer is willing to pay a little extra for the peace of mind that comes from being able to see the product in good condition. Quick Note: In addition, there’s a powerful persuasion principle called reciprocity that comes into play. Reciprocity is the name given to the feeling we have, when we want to do something for a person, who has already done something for us. By offering advice and being as helpful as you can be, it’s harder for the prospective customer to walk away. No, this principle does not work on everyone, but it works extremely well on many people. This approach allows you to not only gain a competitive advantage over the online retailers, but the traditional retailers who are less able to answer specific, customer questions. Here’s the challenge: In order to benefit from this, you need to invest some time learning as much as you can about the products you sell. If you do, you will be able to provide the answers that customers value and also position yourself in their minds as the go-to person, when they need advice on the type of products you stock. Obviously, there’s no need to be an expert on every product line. What I’m talking about here is spending a little time learning the most relevant things. 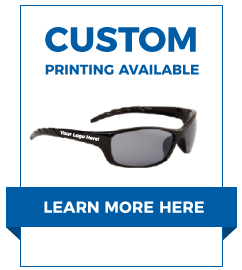 As I was invited to write this for you by my friends at CTS Wholesale Sunglasses, I will give you an example based on sunglasses. By knowing the core difference, you would be able to give the prospective customer the advice he or she needed, in order to make the purchase. Letting them know that polarized lenses filter out horizontal light, which causes glare, whilst allowing vertical light in, which makes things clearer and brighter, you make it easy for them to decide if polarized sunglasses are what they want. If you also explained that polarized lenses were ideal for fishing and water based sports, you’d give them even more reasons to buy a pair! Now consider this: If the prospective customer asked you that same question and you weren’t sure exactly what polarized sunglasses did, you’d probably lose the sale. By knowing the answer, you not only stand a great chance of making the sale, you also position yourself in the customer’s mind as an informed, helpful provider. This makes them massively more likely to recommend you to their friends and to return to your store when they next need something, which you provide. Yes, it takes time to learn a little more about your product lines than your competitors. However, the rewards can be considerable.